It's that time of the year again! J-14 is rolling out the red carpet for our annual Teen Icon Awards, where we will honor the hottest teen stars, movies, TV shows, music, and web stars over the past year. And guess what — YOU, the readers of J-14, get to nominate your favorites and then vote to crown your Teen Icons. 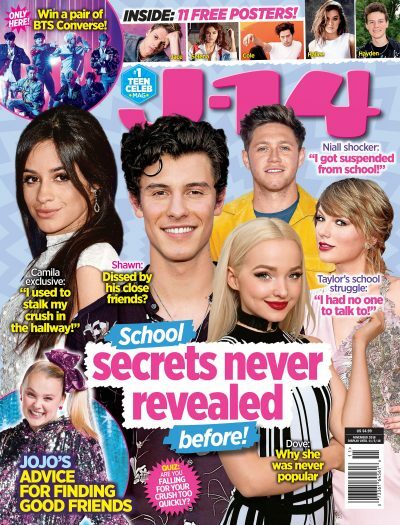 From Friday, September 16 to Wednesday, September 21 at 11:59pm EST, nominate your favorite celebs for each category by leaving a comment below, or using the hashtag #J14TeenIcon on Twitter. Then, on Friday, September 23, we will announce the official list of nominations on J-14.com and voting will begin! Voting will end on Monday, October 3 at 11:59pm EST. The winners will be announced in J-14's January issue! Check out the categories below, and let us know who YOU want to nominate in the comments!